What ever happened to Vasy's Lightning graphic set from late last year? @Mroy31 isn't having any of the "wrong year buddy... that was Brian's."... 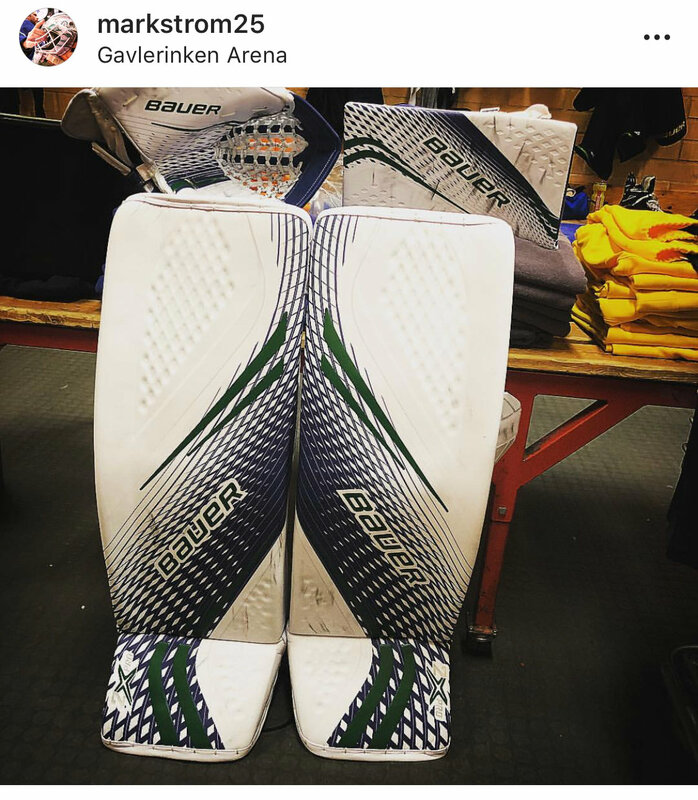 I was thinking that as I read through the thread... but proof now that Vasy did at least have the option for something more custom. Good on ya!! 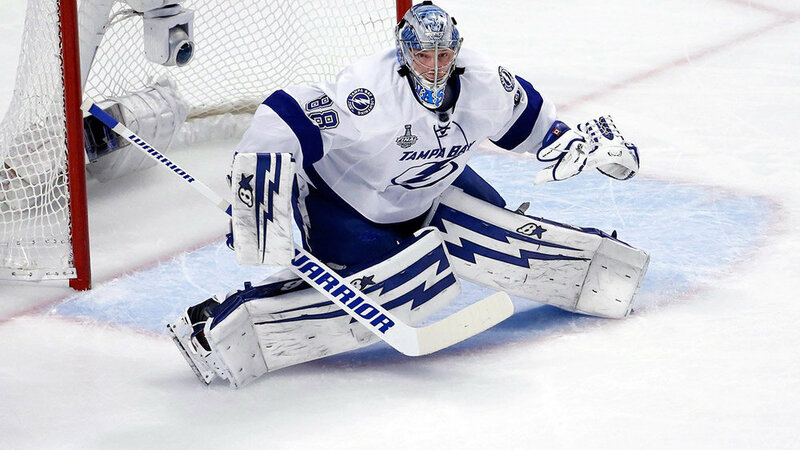 No wonder Vasilevsky opted out on the main graphic and went with that boring design. agreed, it kinda reminds me of the steel wool i use to clean dishes with. 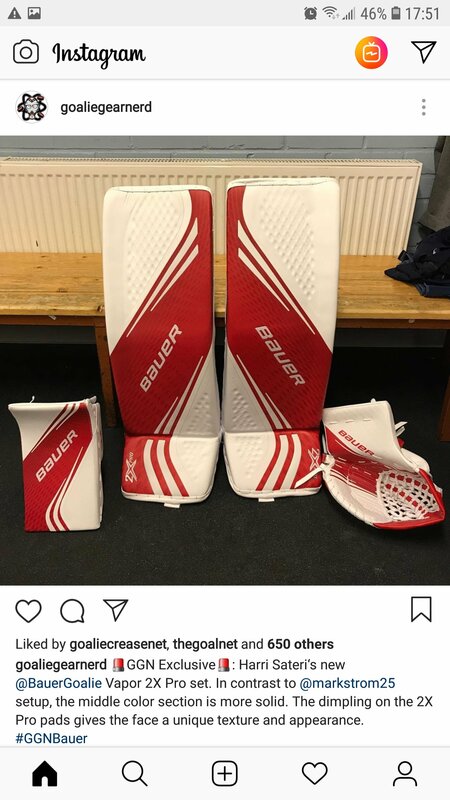 Good to see Bauer embracing the technology of speed holes! Also that is one trippy graphic. I am not a fan at all. Way too busy especially at the bottom where you can’t even see the spears. If I get the 2x, I’m gonna have to get custom graphics because this is just not doing it for me. This graphic is absolutely terrible. It looks like there's another unused color zone above the top spears. If you just used that zone and the spears, it could look alright. Interestingly enough I have all white 1x's right now that I've padskinned, but I'm looking to make the leap to custom with the next set. A different take on the graphic. At least it doesn't look like absolute crap.